There’s no need to pack the luggage or board the family pet. Just fill up your gas tank in Salt Lake City and head out for a fun family vacation on one tank of gas. Here are some ideas that easy on the wallet, yet high on family fun. If you have a little engineer in your family, take a one tank road trip and visit some historical trains at the Golden Spike National Historic Site at Promontory Summit, Utah. This is the place where the Union and Central Pacific Railroads joined their rails completing the Transcontinental Railroad in 1869. This site includes locomotive replicas, a visitors’ center and offers historical reenactments. If your little engineers desire a ride on a historical train, check out the Heber Valley Historic Railroad where you can hop aboard the “Heber Creeper” for a journey through the Heber Valley and Provo Canyon. Take a one tank road trip and experience a wildlife safari when you visit Hardware Ranch Wildlife Management Area, a working ranch whose purpose is to maintain a healthy rangeland for all wildlife. In the winter, the ranch operates a feeding program for elk that have migrated from higher elevations to the ranch’s feeding grounds. Here, families are invited to help out with the winter feeding by dispensing hay to the elk while riding a horse-drawn wagon or sled through the feeding grounds. 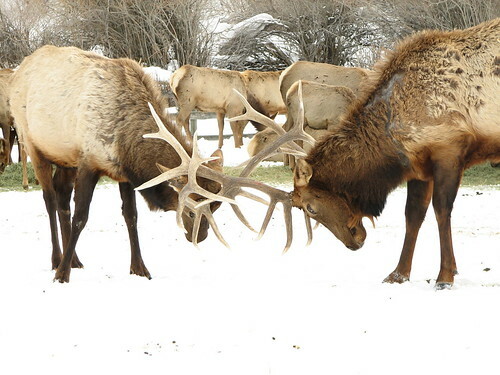 If winter has since past and the elk have returned to higher elevation, families can still continue their animal safari at Willow Park Zoo in Logan, Utah where kids can spot wildlife while frolicking on the playground. Pack a picnic and consider attending one of the zoo’s educational programs. Take a one tank road trip to higher elevation and drive the Alpine Loop from American Fork Canyon through Provo Canyon and enjoy some outdoor adventure all along the way. American Fork Canyon is home to Timpanogos Cave National Monument, where kids of all ages can spelunker through tunnels of stalagmites and stalactites. Just be sure to book your cave tour early at this popular attraction. Hit the trails at one of the popular family hikes along the drive, including stroller-friendly Bridal Veil Falls and the more challenging Stewart Falls near Sundance Ski Resort. There are also some nice camping sites and picnic areas perfect for roasting marshmallows and sharing camp fire stories. Take a one tank road trip along the remote Pony Express Trail National Back Country Byway and 133 miles of Utah’s west desert. Note that this drive is primarily along dirt roads that are isolated and lack services, so families must be prepared before attempting this excursion. The journey begins near the historical Camp Floyd/Stagecoach Inn State Park and Museum where visitors can learn the history of this former army base viewing its exhibits and artifacts. 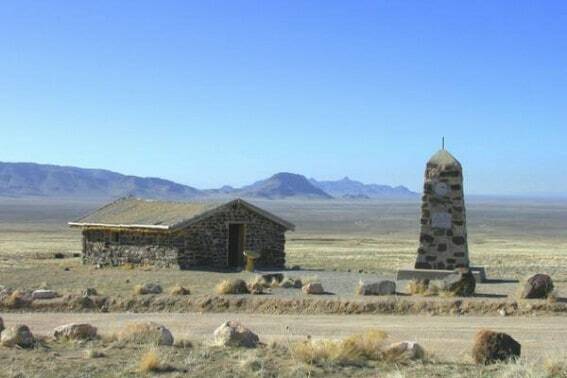 Along the road, be sure to look out for the Pony Express monuments and their respective interpretive signs including the major pony express hub at Simpson Springs, and the wetland oasis at Fish Springs National Wildlife Refuge. Bring the binoculars and look for wildlife, specifically wild horses, since this byway borders the Onaqui Mountain Wild Horse Management Area. The west desert also offers recreational opportunities such as geocaching, rock-hounding, hiking, picnicking and camping. Take a one tank road trip to the resort town of Park City and enjoy the shops, museums, art, and outdoor adventure. 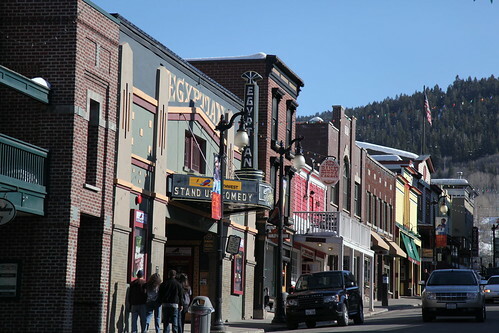 Here families can learn about the area’s skiing mining history at the Park City Museum or enjoy the rotating art exhibits at the Kimball Art Center. Browse the shops on historic Main Street and see if you can spot all of the sculptures that line the street. If your family is looking for some adventure, visit the Utah Olympic Park and ride the bobsled, or experience the new mountain bike park at the Canyons Ski Resort . Take a one tank road trip on a bird watching expedition to some remarkable avian habitats along the Great Salt Lake and its surrounding wetlands. This region is one of the most important bird areas in the west with over 250 bird species visiting annually. Families can check out the Bear River Migratory Bird Refuge with its interactive museum exhibits and wetland habitat trails. Here kids can record their own bird sightings on the refuge’s bird tracker. Additional wetland habitat can be found at the Farmington Bay Waterfowl Management Area, where groomed trails lead visitors through prime bird watching sites and Antelope Island, where birds easily outnumber the island’s bison herd. 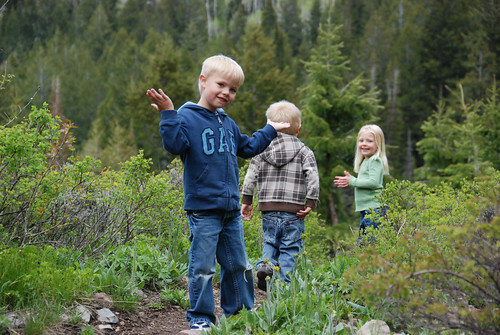 Do you have recommendations on kid-friendly spots in Utah? 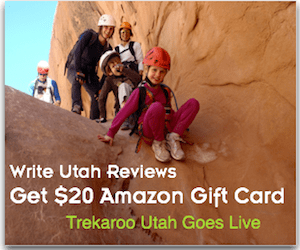 Take advantage of Trekaroo’s limited time Utah Rewards. Write Utah Reviews and Get $20 to spend on Amazon. Win Family Getaway to Salt Lake City!